For most of you out there, the game of soccer consists of two teams with 11 players each running around on an outdoor grass field trying to kick a round ball into nets on opposite sides. However, this traditional form of the game has taken on many new forms over the years. Let’s take a look at them! Beach soccer is a fast paced, high scoring variation of futsal and indoor soccer, but it’s played on the beach! There are 5 players per team on the field, including goalkeepers. Lines are used as boundaries for the field. The ball being used feels more like a volleyball. The sand makes it very difficult to dribble down the field so players tend to lift the ball in the air and juggle instead. If the ball goes out of play, players can choose to either throw or kick in the ball. With goal kicks, the goalkeeper can throw the ball instead of kicking it. Any fouls called lead to free kicks, which have to be taken by the player that was fouled. Referees use an additional blue card for cautioning before the more common yellow and red. Players that are cautioned must leave the game for a certain number of minutes, much like hockey, and the team plays shorthanded for the duration of the penalty. Futsal is a fast paced, high scoring indoor version of soccer, but a little different than indoor soccer. It is usually played on a hard court field using lines as boundaries. There are no boards as with indoor soccer. There are 5 players per team on the field, including the goalkeepers. Goals are much smaller compared to the standard goals used in outdoor soccer. The ball is smaller and heavier than the standard ball used in soccer. This is to make players get more creative with the ball and work on technique. 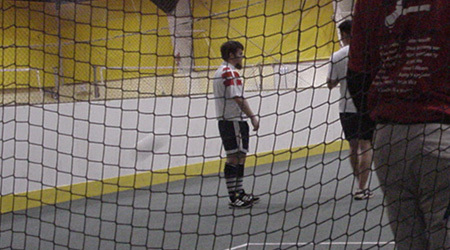 Indoor soccer is a fast paced, high scoring game and is my favorite version of soccer to play! 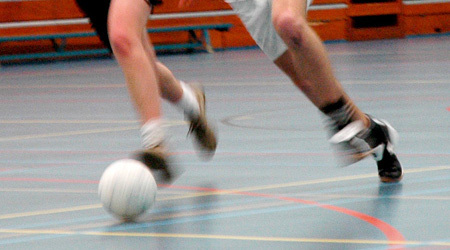 It is more commonly referred to as futsal outside of the United States. It is usually played in an enclosed field using boards. The field itself is usually made of artificial turf. There are 6 players per team on the field, including the goalkeepers. Goals are much smaller compared to the standard goals used in outdoor soccer. Indoor rules may vary depending on the league. There are no offsides in indoor soccer. The ball can be played off the boards and still be considered in play. If the ball goes out of play, players kick the ball back in, unlike the standard throw-in. Substitutions are unlimited and are allowed at any point during the game. Referees use an additional blue card for cautioning before the more common yellow and red. Players that are cautioned are sent to the penalty box for a certain number of minutes, much like hockey, and the team plays shorthanded for the duration of the penalty. 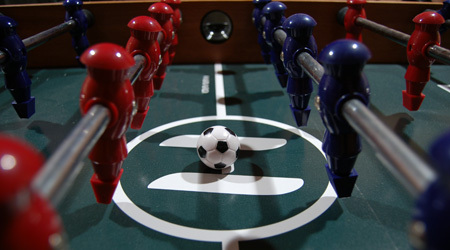 Table soccer, also known as foosball, is a fun table-top version of soccer. There are 4 rods with handles per side, each with a certain number of players attached to them. For example, the rod closest to the goal has the goalkeeper. The second rod contains two defenders. The third rod contains 5 midfielders and the final rod contains 3 forwards. However, there are different forms of tables with different player setups so the number of players per rod may vary. A goal is located at each end of the field. 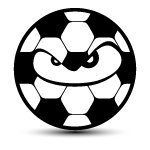 The purpose of the game is to pass and shoot the ball into your opponents’ goal while blocking your opponent from doing the same. The team who scores the most goals wins. The game can be played using one or two players per side. When I was a kid, I was too short to see the field so I would have to stand on a chair to play. Luckily, I’ve grown a little taller so the chair isn’t needed anymore!